I have always wanted a gray cat. My parents got me a black one when I graduated from High School, but I still wanted a gray one. So when, in 2009, my partner said, ‘I want to get you a gray kitten for your birthday,’ I did what we all do when we want our ego to lead in a situation that feels too cumbersome and vulnerable. I let my ego lead. I told her that we should wait until after the big metaphysical expo in October. I told her I wanted a female adult cat, a rescue… not a kitten. So I stopped the happy family archetype ball from rolling, or so I thought… I really tried too. The next day a woman who owns a metaphysical bookstore in Columbus posted a story about a female adult cat, who was fixed and wait, gray…and needed a home. She had been waiting for one. In the meantime she had been living under a local psychic’s porch for over a year, and inclement weather was coming again. I thought it was uncanny that the universe had responded so beautifully, quickly and clearly to my request for a gray female cat. My partner, who knew me very well by now, simply said, ‘for you, that’s every day.’ We went to see this gray girl. Tami coaxed her out from under the porch. She was timid but seemed happy to be in our car. She had beautiful gray green eyes and a thick silver gray coat. We would later learn that she was part Chartreux, a rare breed that lived in the turn of the century in France. We would notice her wicking fur that was resistant to moisture. We would both comment on her quiet loyalty and fine skills of observation, even her patience to literally watch television shows with us. Her eyes would dart back and forth with the antics on the screen. This was all to come; today though, on the way home, we headed to get kitty supplies. When we brought her home she was very shy and immediately went to hide in the back of our bedroom closet. Eventually though she would peer out, curiosity always gets the best of this breed. Try as we might, we couldn’t agree on a name. We looked up animal totem websites, indigenous names, Celtic names. I came up with Silvie, she came up with Meg. I compromised with Sylphie. She came up with Clara. I suggested Daphnee. She came up with Bee. We were at an impasse, which I would later come to find would be a powerful aspect of our early relationship dynamics. We are both very stubborn. So we decided to wait, and in the interim, let the universe step in on the naming front. In the meantime, she had started to jump up on our bed periodically in the evening. She was still much more comfortable in the dark and, to my chagrin, would face her nose to the wall. Later I surmised that when she was under the porch step there was nothing to do or see so facing the wall was perhaps in some way comforting. We both agreed we had a very special Kitty in our keeping. However, Hannuu was far from done with her meaning in our lives. A few weeks later I was looking through a metaphysical name book. The book broke down the letters from different spiritual traditions and shared the meaning of the full name. Since both runic alphabet and the Hebrew letters meaning were there I went to work looking up what the letters said Hannuu’s name meant. I was astonished by how closely the letters meanings followed the story of Hannuu’s life. It was simply uncanny. (H: Hail.) Wrath of nature, destructive, uncontrolled forces, especially the weather, or within the unconscious. Tempering, testing, trial. Controlled crisis, leading to completion, inner harmony. Hagalaz (Hagalaz cannot be reversed, but may lie in opposition): Natural disaster, catastrophe. Stagnation, loss of power. Pain, loss, suffering, hardship, sickness, crisis. This represented her time under the porch steps. (A: The As, ancestral god, i.e. Odin.) A revealing message or insight, communication. Signals, inspiration, enthusiasm, speech, true vision, power of words and naming. Blessings, the taking of advice. Good health, harmony, truth, wisdom. This represented the powerful message that was sent out via Facebook about her needing a forever home. It was a harbinger of things to come. It also represented her process of sharing her name with us. N: Need.) Delays, restriction. Resistance leading to strength, innovation, need-fire (self-reliance). Distress, confusion, conflict, and the power of will to overcome them. Endurance, survival, determination. A time to exercise patience. Recognition of one’s fate. Major self-initiated change. Face your fears. This represents Hannuu’s opening up to us and getting to know us. The risk it must have taken to share her name and her story. Also this energy represents the vulnerability she was willing to express and feel. I often would place my hands gently on her belly sending reiki to her second chakra in these times. Both people and animals create resistance to love, and trust. Hannuu was well on her way to becoming a feral cat when we made her acquaintance. It took a lot of inner strength for a kitty that had been cold and had to deal with such huge obstacles for over a year to overcome them, even with our love. Uruz: (U: Auroch, a wild ox.) Physical strength and speed, untamed potential. A time of great energy and health. 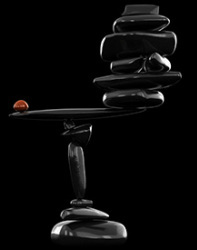 Freedom, energy, action, courage, strength, tenacity, understanding, wisdom. Sudden or unexpected changes (usually for the better). The shaping of power and pattern, True formulation of the self. Finally, Hannuu was able to open up and trust us…she is now a sweet, healthy, opinionated, loving kitty who likes to sleep on her two purple blankets. She had her own stocking this year. We were so happy we could step in and save her life. The truth is, she has saved our life since, several times and ways over. Who could have known? But that’s another story for another time. And it too is equally uncanny. Also, quiet worth the telling. Perhaps the idea that numbers hold energy is not a foreign concept to many of you. Many of you may have a favorite or “lucky number”. Perhaps you are someone who can identify that number for yourself. Perhaps you look for the number as a sign of manifestation or see it as an augury of good things coming into your life. In reality each number holds a separate and very distinct energy… Here I will share what you what these numbers mean spiritually when you see them. As you read these descriptions aloud slowly, take a moment between each word and allow yourself to notice with each number, which descriptions hold the most energy for you. You can even write down the ones that pop out as you move through the numbers. These numbers will likely hold clues to your internal story and feelings by the time you finish your list. Ones most often represent beginnings, Ideas and phrases like… the first, me….brand new me...my inner child……all show up with the energy of the ones. Concept’s like just embarking on the hero's journey, connecting with the pure inner potential or the golden child show up in our minds eye when we pull this number in a tarot reading. New projects, new relationships, new feelings, new experiences, new opportunities, all show up on the horizon when this energy is active in us. Conversely, the ones can also express a need to connect more deeply with all of these archetypal one experiences. Twos most often express pairs and the idea of twinship. Twinship can either suggest someone who is a mirror image of you, or someone who expresses characteristic’s that are very unlike you, or the opposite of you. How people feel when they bump up against this two energy can vary. It can be felt as sisterly, like a close confidant. It can also be felt as recognizing a trait that you lack. Sometimes you may see this person from a place of envy or jealousy. The best way to work with this energy is to recognize that the other is a model which you can emulate. This helps you feel grateful for the other instead of fearful of them or what they have. Phrases like me and one other, and you and me against the world are often heard when dealing with two energy. Psychological concepts which show up with the energy of the twos are sibling rivalry, decentering and parallel play. Consideration for another’s viewpoint is another aspect of two energy as it requires us to recognize there is more than one way to be, view and do things in the world. Two energy in a reading may also suggest the inability to embrace the challenges and opportunities expressed in the two. Threes represent not being the center of attention—not oowing and awing over the other one, learning to delay gratification, advocating for yourself, recognizing each person’s strengths, not creating an underdog are other manifestations of the three energy. Not “just us” anymore, increased creative potential in any endeavor or experience —relationships, projects, school opportunities etc…betrayal, triangulation, the wounding of not being chosen and revered. Fours express stability, balance, symmetry, stable structure, foundation, solidity of an idea, relationship or feeling, logic, tried and tested ways, proof, four square, family. Sometimes too structured, too stable, too logical or orthodox to be interesting or compelling, too much four-ness although stable can lead to boredom or lack of creative challenge. Fives express all of the energetic issues of three but in a larger context, They also express moving through adversarial situations for self and others, What is your definition of freedom/autonomy. How much is too much for you? How much freedom do you need to feel safe vs. how much togetherness? They can also suggest tension, the need to break away from the group, testing the waters, or me against them, If real needs around autonomy and freedom are not looked at, ego issues can arise or the person can go unheard in the group. Sixes suggest qualities of social justice, advocacy, giving back, altruism, community gatherings, community organizations, grassroots projects, vision of bettering the group. Phrases that might be used to describe the energy of sixes are; We are better together. Awareness and acceptance of more skills, ideas, strengths, innovations, are common with this energy. We are finally in a place where we can joyfully accept support and ideas here. Lastly, sixes express the need to get beyond the self or family into the larger world. Sevens embody the need for internal spiritual awareness. Topics around manifesting, visions, dreams, synchronicity, patterns, solitude, honoring the inner self, secrets just for you, and creating meaning for the self in every way are common with this energy. This can be felt in arenas of relationships, career, and new journeys. This number can also suggest the need for spiritual work, awareness and centering. Eights build on everything four represents in a larger sense—including solidity in the outer world, supportive structures, external material manifestation. However eight is more fluid then four. Here you are starting to master your own way of being in the world. You are seeing the fruits of your vision. You are actively receiving support from groups. The belief that you will be successful is starting to feel real and verifiable. Eights can also express the tendency to ignore these issues or need support here. Nines evoke the need to share spiritual awareness with the larger community. 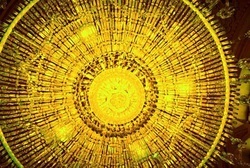 They reinforce and grow from the needs of the six and culmination of the gifts of six, seven and eight, The need to share spiritual truth with others, mentorship, awareness of goodness as a form of divinity, knowing you having what you need internally, teaching, ministering, listening these are all part of nines energy. If you have the desire to give back, share your gifts you are feeling nine energy. Or nines may show up when we need to experience these feelings and experiences. Tens are about seeing things coming to fruition because the ground has been laid, the work has been done. We are now wanting the seeds sprout. Here we must have patience for the process. Also the energy of the ten has to do with children, faith, containment, working with desire and outcome or the lack of that outcome. When tens show up we are being asked to have faith in the larger process. Recognize new beginnings….or we are being asked to let go of outcome and grow our faith. Then we will see things come full circle. Threes and sixes symbolically are very feminine (inner directed-receptive) numbers. Fives and eights are often masculine (active, outer-directed) numbers. Although this is an interesting idea it often means the five and eight journey is deemed more important to men due to cultural conditioning and the three and six paths are more accessible and meaningful for women. Although this is a generalization often it often plays out in the world. How does this idea feel to you? Odd number energies are creative but often more chaotic. They push the envelope and seek to understand the “more” of life. While they easily possess these qualities, they often lack grounding and or experience. These numbers show up a lot with adolescents and in the midlife passage. Even numbers tend to lend stability and support to the odd numbers, however they can be experienced as stuck in a comfort zone, or plodding. These energies can often be prone to too much grounding and marred by too much experience. These numbers show up a lot with authority figures or people who need some shaking up. In numerology 10’s always become ones; 1+0=1. Therefore anything that has the potential to be a 1 also contains the potential of the 10. Likewise anything that is a ten – closure and foundation – is eager to experience itself as a one again. 0 has no value and contains all values within it—the alpha and the omega, beginning and end. In the tarot it is the tarot the entire journey, the world and the fool! As for working with these concepts out in the world, as you empathically attune to these energies you will intuitively begin to pick up which of these sacred number descriptions and scenarios hold the most energy for you. Numbers have always seemed to energetically speak to me about certain inherent qualities I possessed or was growing into. I will share a few of these stories here in the hope that they may help you to begin to open up more too spiritual number energy’s in your own life. The first number with which I recognized a deeper spiritual resonance was with the number single digit 7’s, or double digit numbers that reduced down to 7 both showed up in my waking life and in my night dreams in ever meaningful successions. The first deep awareness I had about the energy of 7, was more fully illustrated in a dream. Perhaps these 7’s were telling me a story about how to notice and shift my awareness in order to reveal a deeper purpose in my life? I remember later noticing 9's with an equal energy. However, this was several years later and I now understood that by sitting with these synchronicities and noticing similarities regarding how and when they showed up, I could begin to intuit what they were saying to me. These 9's showed up for me when I was sharing my awareness by reading for or teaching others. The 9's unlike the 7's were innately connected to sharing my spiritual gifts with a larger community, instead of just keeping them to myself. In contrast, when 7's show up I am able to discern that unlike the cosmic consciousness aspect inherent in the energy of 9, 7's are about an internal drive to refuel, refine and add another layer to my spiritual sense of self. I share these personal stories about 7's and 9's to illustrate the idea that symbols, all symbols, have a unique way of speaking to us on our spiritual journeys. The more you are able to move away from the collective cultures definitions, and meanings and instead ask with curiosity and patience what the symbol means to you, the more you will be able to glean clues as to its meaning, story, and presence in your own life. The more we all invite and imagine these expressions the more we will come to understand how these symbols speak in unique ways to and through us. The preceding section illustrates what these numbers have shared with me about their meaning. Each set of numbers has had a unique story to tell that accompanied the way it showed up. I have chosen to focus on the messages I was able to intuit from these numbers. Several years later I noticed an inherent need to focus more on my accomplishments in my outer life. This time I asked the numbers to find me and speak to me directly about this new chapter and focus in my life. This time I focused on the number 8. This number is all about feeling a sense of mastery and achieving a sense of success in the outside world. Knowing this I purposely chose the number 8 for my locker at work. Several days later I was walking to the bus after work and I picked up two playing cards on the ground. The first was a three, the second…you guessed it, a five. 3+5=8. The energy of the three was all about using my creativity in my work environment to see myself as an empowered co-worker. The energy of the number 5 was all about how to handle the tension often inherent in a work environment and finding ways that honored people’s unique ways of being in that environment. The overall message seemed to suggest that a wonderful combination of deep honoring and creativity would lead me to be able to express and embody the energy of the eight in a way that enabled me to recognize and grow my personal sense of power and efficacy. What might these numbers mean if you came across them on your own journey? I invite you to notice for yourself if these stories resonate. Feel free to refine your unique awareness as to how the numbers show up and speak to you. The Affirmation gem for August is: I am moving toward the stories and energies the sacred numbers hold for me. I am readily able to incorporate energy from the stories they share into my life. I am moving toward all that is of me and for me. We have had some very tense astrological aspects recently that have challenged us all to love more clearly and more creatively. We are facing a new moon in Cancer which may offer us an opportunity to scrape up against their pain body again. How do we honor our connection with others and still love ourselves? This seems to be a question many of us are asking. So this article is about self-love. In keeping with that spirit I am going to talk about a topic I am incredibly passionate about, that is how nature inside and around us can easily mirror our growth and support us in difficult times. We all can witness examples of this every day. However, sometimes we may imagine that we are isolated, this in turn can lead to a feeling of alienation even if we are surrounded by people. This is when we can struggle with whether we deserve love. Of course, we always deserve love; however, sometimes we all need to be reminded. These feelings of disconnection may be pure projection on our part. In this case we actually have ongoing support but can’t see it based on what we are telling ourselves about how others see us, or sometimes the stories we are telling ourselves about them. At times like this we all need to be reminded that we are loved so we can reconnect to the love that is all around us. Other times people are truly just busy with their lives and so they may not have time to listen to us, or grab a cup of tea or spend an afternoon watching movies. At these times we may feel abandoned but the good news is we don’t need too. Part of adult life is occasionally finding ourselves so busy that we have little time to seek out the support we need for ourselves. On these days especially we need to practice the art of appreciation, for ourselves and with others. We can slow down and give love to others where we feel we most lack it. This helps us get the love energy flowing again. And when the love energy is flowing again it helps us gain energetic momentum by being recognized and well, loved. I experienced this deep loving connection recently and it has opened up a whole new ongoing chapter of deeper listening in my life. 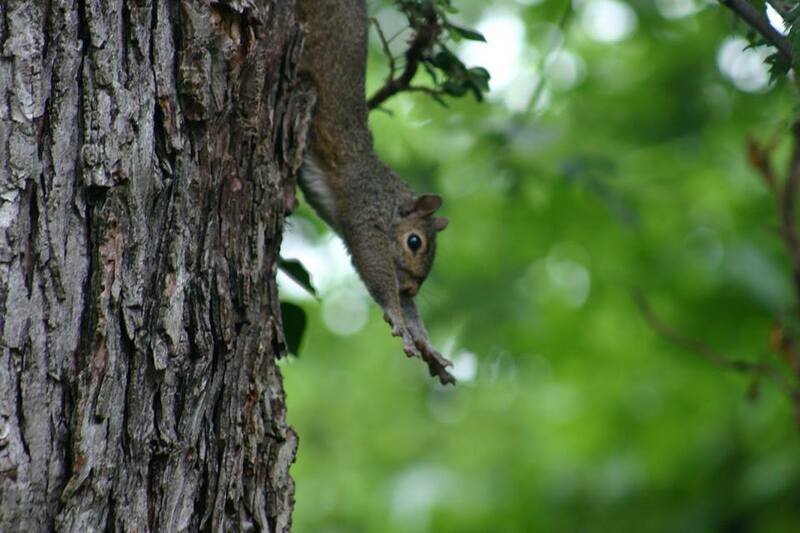 I started consciously working with squirrel medicine. Now when I think back on it, working with this medicine actually started immediately upon moving into our house. The day we moved in a squirrel fell about 80 feet from one of the highest limbs of an oak tree in our new front yard. He fell on his stomach into the middle of the street. He seemed okay, in the short term as he righted himself sluggishly. However, I was concerned he would rupture some organs, and frozen in terror I just stood there. When I finally regained my composure I noticed that he had run across the street and was circling around the circumference of a neighbor’s tree. I want over and looked at him very closely and noticed some markings on the side of his face that made him stand out from the other little squirrel friends in the adjoining yards. I checked on him for several days until I felt assured that he would survive the fall. Now listening intuitively I knew that this little squirrel’s unfortunate plummet to earth had a message for me in it. He fell from a top branch, which was why I was shocked to see that he was not hurt. This squirrel was a survivor. And all squirrels are gatherers. Squirrels always store provisions for inclement weather and lean times. They prepare themselves for the unknown future. Half of the nuts they gather they bury again. This little guy showed me that this move would require me to be a survivor and that I would survive many a fall and be stronger for it. It also was an augury of the fact that we would have great resources if we saved some of them up, like squirrel does. Anyway, after the clear messages I received I wanted to give back. I became very intrigued with the idea of giving these little ones nuts and started out by placing them on the little wooden table on our front porch. The squirrels loved it and several of the more daring ones would come and perch on the little table and peer in the window of my office. I in turn would peer back appreciating the uniqueness of each extraordinary individual. There was one we called slant because he would always lean to the right. Another Arabelle, would do this little sideways jump and kind of click her back heels together as if she could hardly contain her excitement as she ran across the porch. Then there was Nathaniel he had heavy upper arms just like a body builder. Anyway, the more I watched and appreciated them, the more uniqueness I noticed. Each tiny little movement was imbued with meaning. And I was drawn to the feeding ritual, I became interested in seeing if I could get them to come with a call. So I started singing a calling song—an apt verse about the beauty, constancy and changing qualities of nature from Judy Collins “Who Knows Where the Time Goes”. I did this for maybe a week and a half; soon they recognized the song as I laid out there nuts on the porch. They had become used to the song and relied on it as a sign that they could count on a new row of nuts on the table. They were now relaxed and would come running from several doors away. Sometimes there were three or four, sometimes as many as seven or eight. Our porch was truly squirrel central station. The message here is that when we can’t draw support from the people in our lives directly, we can draw it from communing with the universe. All of nature speaks, all of the time. All we need to do is watch it patiently and lovingly. If we watch how it changes and we notice what we feel as it does, we will have deepened the connection with our own feeling selves. In time and with practice we will find it easier to move through stuck feelings and difficult emotions, with the support of an intelligent, wise and playful universe at our side. Through this process we will have reconnected with a deep reservoir of awareness and intuition in ourselves. And awareness leads to appreciation which cannot help but lead to deeper love. I was certainly feeling this powerful connection with my squirrel friends. And then came the fateful day that their inquisitiveness and mine collided. I opened the door getting ready to place a nut on the table. I looked down, and of course it was Arabelle, she was perched in the middle of the chair. Her little muzzle was sniffing at my hand with expectant eyes and so much trust. I had to trust too, I held the nut out to her with caution and hope. Just like that, she took it gently in her mouth and scampered down from the chair back and then she was off and bounding across the street in an instant. Within about three days she was sitting on the back of the chair anticipating what had now become a more then daily encounter. Each time she was gentle and I noticed that if I held the nut in one hand and placed my fingers on my heart center gently tapping there, she too would make the same gesture with her little squirrel hand. It was this mirroring gesture that I believe helped her to feel connected to me. I believe she felt and saw the reciprocity in this ritual language. Now I noticed other squirrel friends watching Arabelle at a safe distance from the table, on both corners of the porch. Within maybe a day or two of this studied watching they started running across the little table, gingerly and carefully at first. However they became more emboldened as they heard the song echoing in the morning or in the early afternoon. Each one now knew to make their way to the back of the chair as they had seen Arabelle do. Each one received the gift of a fancy nut from my hand. Now often they are waiting for me in the morning, as I am rubbing sleepy sand out of my eyes. Sometimes their small bodies are framed by the orange and pink light of the sunrise. Well, one afternoon not too long ago I was feeling particularly down about an ongoing issue that I needed to resolve. At that time I was feeling the gauntlet of heaviness circling around me as it pulled me to a darker place. This was triggering huge insecurities about deservingness and self-worth. Additionally this was a time where everyone had their own problems to deal with. So I was feeling like a lost motherless child that morning. I was in that freeze place; anticipating dealing with the situation and terrified to do so. In fact I was so caught up in my pain body that I just had to take a break so I called my partner and she suggested that I consult the counsel of squirrels on this. And that was the moment when everything changed. I was peering out the front window still imagining the worst when I noticed Arabelle, my sweet squirrel friend climbing up and down the brick pillar on our porch. She was fluffing up her nest with little piles of leaves she was carrying in her mouth. I became mesmerized watching her. She was so busy and so focused, a model of utility. It felt like a symbolic moment to me, as though the utility of each action left no room for error. All of a sudden she looked over and peered in at me through the window. Then she turned around midway up the column and raced back down, still holding a small bunch of leaves in her mouth. Just as quickly she jumped onto the little table and still peering in at me dropped the little bundle of leaves right in front of me. And then she ran to the back of the chair where l usually feed them from. She started thumping her tail furiously as if to say, “This leaf pile is for you”. I was truly amazed by the deliberateness of her gesture. I didn’t know squirrels practiced the law of reciprocity. Of course I went outside and fed her a nut and as she scampered down the chair and onto the porch floor, she turned around and looked back at me, as if to reassure me of the purpose of this connection. All of a sudden I felt the gift and guidance in her gesture. The energy she carried, that get the job done energy transferred to me. Something in Arabelle’s sweet gesture, her willingness to care for me when I felt undeserving helped me figure out what I needed to do to take better care of myself. I knew for the first time that morning that I could advocate for myself. And that if I was deliberate, and purposeful in my actions I would be heard and the situation would be resolved. I also knew that just like Arabelle running back down the column to share her gift, I knew too that if I ran into a situation where someone was not listening I too could ask for a do over. I had the ability to turn around midway and move toward clearer support. And this is how wisely and magically the universe speaks if we are willing and open to listen. It requires us to move away from our pain body. It requires us to connect with the universe, and trust that nature and creativity can move us to a new place on our healing journey. Most of all it requires us to connect with energy outside of ourselves. It asks us to move from a place of isolation to one of connection. Of course how you connect with this alive universe is up to you. Which animals you feel connected to and which you notice will be your unique connection alone. One thing is a constant though. These connections will help you notice where and how you have been disconnected. They will help you understand too, where you have felt undeserving of support? I assure you the tools and gifts you need are there. In order to see them you may be asked to step outside of what your limiting beliefs tell you about your options. Step away from anyone who suggests you are undeserving or have limited options. Trust that the amazing energy of the universe can help you resolve anything in your life. Look for the bright spots of color on your journey…for the places and creatures that help you to connect with a building sense of reverence. This is where the support, healing and solutions lie. Bio: Jenny’s work draws heavily from the depth psychology schools of C.G. Jung and Joseph Campbell. By utilizing and refining your unique intuition she hopes to help you achieve a more peaceful, and authentic response to life no matter where you find yourself on the human journey. Jenny brings gifts of insight, vision, depth and a non-judgmental presence to psycho spiritual work. She looks forward to helping you help your intuitive Self shine! She may be reached at: imaselkie@juno.com or at her website: http://www.innervoiceintuitive.com to schedule intuitive tarot readings and skype counseling work. The other weekend I read tarot cards at an open air festival. I agreed to the gig because a friend asked me. I didn’t even question it as my experiences with this friend had been so positive and heart-centered across the board. This in and of itself was uncharacteristic of me now. While I had done these types of festivals before in much larger venues, for me, there always seemed to be a distinct before and after tarot card reading experience when it came to these types of gigs. Let me explain and tell you too that I am not going to share the experience that made me reconsider this type of venue. I am not because I don’t want to give another moment of energy to my backstory. Let’s just say, our needs change over time and something that fed us may not be adequate nutrition at another stage of our journey. In fact the same scenario may be experienced instead, as poison to our system. If we don’t recognize that we have outgrown something we can poison our own plot of ground. Let’s just say the story was dramatic and made it very clear that this type of venue no longer served me in the work I found myself growing toward. The gig I was now asked to read in was a small newly established music festival harkening back to everything that was the psychedelic 60’s, while still tipping a hat to post- modern culture. It is the sort of venue that on some level is there to make fun of itself. Participants don’t take themselves too seriously, donning attire ranging from day-glow fishnets to platform shoes. At these events it is all about amping up the fun, feeling the vibe and embracing the moment. The archetypal energy of the trickster can run rampant at this type of venue. Although at his core he just wants to play, if you’ve been burned by some of his more overt aspects in the past you may see the qualities he brings to the table as inherently malevolent instead of innocent. Trickster energies and situations embody qualities like spontaneity, neutrality and a penchant to let go and be in the here and now without regard for the outcome of a situation. His core archetypal energy can feel chaotic, overwhelming, dismissive, or just downright scary to anyone who has anticipated a softer, warmer or kinder experience of him. No doubt each of you can think of a time in your own lives when you thought you were going to kick up your heels, have a wonderful time and be safely transported on a journey to previously unknown and magical realms. You may have imagined the direct result of this experience would be unconditional love, incredible success, unparalleled notoriety or a big leg up toward achieving a much sought after goal or experience. You went into the situation totally wide eyed, hopeful and ignoring the helpful and necessary reality testing and grounding that accompanies a more pragmatic perspective. Know that It was your openness and hopefulness that helped you get this far. Know too that the emotional elevation which was a part of the experience made the fall from your lofty expectations into the reality of the situation seem much greater. Know as well, that the road is made bumpier when trickster shows up because you can’t fall back on your experiences with his energy. He provides no soft landing. You see the trickster by his very definition, just doesn’t care. He may appear to care in the moment. In fact he’s incredibly interested in all the details that make your story compelling. He’s just not so interested in an attachment to any one story. And so he’s not attached to your story, beyond the entertainment or the momentary excitement it provides him. Think of a one night stand, an unethical boss, an underhanded company, or a business deal that seems perfect but goes South just as quickly. It hurts to be misled. And still, as long as you try to label the trickster as bad, or wrong, or label your own actions as misguided well, you miss the trickster’s biggest gift. Say what you will of trickstery situations. They do help us grow. If you can observe and anticipate the trickster’s behaviour instead of judging it or becoming seduced by it, you will recognize that at his core the trickster opens the door for change. The trickster enables us to change our perspective, increase our awareness, and alter our more habitual behaviours. The trickster wakes us up. If we can change our awareness and reflect on the shifts we see and feel in our self-concept, then the changes the trickster evokes in us are deep ones. You can learn to see yourself more clearly, and love yourself more deeply, precisely because trickster was at his very core, unreliable. However, the bigger questions that often go unasked are why did we stop questioning our experience of the situation? When there were read flags, why did we ignore them? How did we become invested in a trickster being reliable, kind, aware, and above board? Surely, we could see that our agreement to go along with his scheme required us to incrementally abandon small parts of ourselves? Think about little Red Riding Hood in the Children’s fairy tale. Surely she knew her grandma didn’t have such big teeth? It is her curiosity and desire for new information and experiences that enables her to slowly abandon herself and her definition of what she knows to be true. This said experience is a very necessary and sacred teacher. As for my own story, I knew pretty early on in reflecting about this venue that it would be a game changer for me. I knew too that my experience of it was an inside job. I had figured out when preparing for this event that I might feel triggered based on some of my past experiences, and too,that that trigger was my opportunity to move forward and withdraw myself from all my preconceived notions about this event and those who chose to attend it. I knew this because I felt it. We also did a tarot card reading to see what the evening might hold. We got the hanged man as the significator, and the hierophant, as the cross card. The hanged man reinforced what I already felt; that I had a wounded place around issues of feeling rejected, or other when it came to these types of events. I knew I would need to ask myself to reflect on experiences from my past. Last time I was required to tap into this energy I had unearthed a still sea of deep wounding. The hanged man meant I would need to accept some of these feelings and yet not identify with them. Only then, like the hanged man could I turn myself around and be able to join my tribe. The thing about this loaded scenario is that while initially the experience may have been legitimately wounding due to a bully or someone who casts you in a bad light or disrespects the work you do; or perhaps like me because you stayed in a place too long that doesn’t fit anymore, either way the wounds are now self- inflicted. Now it is you that carries the projection within yourself. Your judgement of yourself or others, expressed by the wounded place, ensures that the cast of characters that inhabit the story will be wrought with similarities that while only surface deep now seem to be the same at their core. This overall sameness is the clue as to the amount of healing work that you need to do. Because of this the energies you bring are now morphing spectral shadows. They are distorted, grow fiercer and take up more space. The cast of characters may appear to have less scrupulous motives. This is how you know this shadow energy is truly spilling over into your life. It represents your unacknowledged fear. Back to the cards…the cross card in the spread was the hierophant. Think of him as shading the lessons the hanged man brings to the table. There are two different faces to this card. On the surface he is the pope. He is a highly revered and elevated figure, protected by orthodoxy and in some ways protected from more fallible hands on definitions of truth. He may be afforded this status if he wants it. However, this posture only gets him so far. It may mean he has elevated himself from the pain of his friend, the hanged man, being upside down. However, both the hanged man and the hierophant –are suspended between reason and the heart. Somewhere between these two conditions human vulnerability hangs in the balance. The second way of viewing the hierophant, perhaps the deeper way, is as the wounded healer, Chiron. In some decks (the Guilded) Chiron, represents the areas in your life where you feel different, isolated, and unable to heal yourself because of something that you went through. However for Chiron his wounding is a great part of his strength and wisdom. In the story of Chiron it his differences that make him strong, wounded yet a healer. He is unlike others in his tribe, not course and unfeeling but refined and aware. He uses his pain to refine his skills and gifts. In the story he is made king of the centaurs because of his wisdom. He also became, a unique healer using plants and herbs to heal others. It is true, Chiron was struck with a poison arrow, and he was unable to heal himself. It was said that because he was immortal he would live with his wound forever. In many ways when we go into a trickster situation we are like a cross between these two cards. We can be the pope version of Chiron-unwilling and unable to heal. In this case we are caught up in assumptions about outsiders that keep us safe. But there is a price we pay for this emotional cloistering. We can’t share our gifts either. This makes it that much harder to heal. While we may avoid the initial discomfort of new experiences we also avoid the ability to add new experiences to our repertoire, which enables us to chip away at old assumptions. To be sure, whenever we reinforce black and white assumptions about people and situations our first motivation is an attempt to avoid some kind of pain. However, whitewashing our perceptions means we are still frozen in and by them. We are like that still sea of wounding. Yes, we may sit, unchallenged, but also unchanged. We find ourselves in a very lonely place indeed, the place just beyond our ability to grow. Conversely, Chiron is able to grow precisely because he is able to take the things that wounded him, and heal others in his tribe. He is aware of the wounds that isolation and being different have triggered in him. But it is because of his awareness of himself as having moved through that place of pain and suffering that Chiron can tap into great empathy toward himself and others. He is a light and a channel for their healing and transformation. How have you learned and transformed yourself? Are you like the first version of the Hierophant (The pope) around this situation or the second (Chiron)? While you may need to give up the painful details of telling your backstory and instead live your best story to grow through it; know that it is in embracing your whole story that you can experience love and forgiveness for yourself. It is through moving through the assumptions you have held about others and heart-to heart engagement that you will help others shine brightly. Undoubtedly, many or perhaps most of you have felt the huge energy shift recently and witnessed your mental and physical momentum picking up as a result. I have witnessed the energy growing and expanding here as well. It has been an incredibly busy spring with new projects, new clients, and new ideas budding daily. And while many of these ideas are wonderful and worthy I realize not all of them can come to fruition at once. When we feel responsible to birth them all at one time we can find ourselves exhausted and overtaxed. When we feel spent and yet expectant for things to come to fruition we can put a lot of extra pressure on ourselves about the outcome. We can find ourselves in a place where all the magic, wonder and joy about making our dreams come true is replaced with stipulations, ultimatums and self-imposed limitations. In this environment it can be hard to allow anything to come into being naturally. We live in a world that is incredibly impatient and very product oriented. We tend to devalue anything we cannot make into a product. Many of us start to prepare our children for college when they are in diapers. We are taught to imagine a 6 figure salary before we’ve seen our first client. We rush through the potential joy in our lives. We don’t often honour the building and we sometimes find ourselves pressured to prop up an empty edifice. We can internalize this pressure to perform and if we are unaware it can strip us of the joy that our creative process could and should offer. This is a road I’m sure many of you can relate to and one I have addressed before. It seems to have become an increasing by-product of our culture, especially now as so many of us are being asked to speed up throughout our lives. So while it is true that we all struggle to find balance and speak with authenticity, it is a place many of us our still navigating, and re-navigating. I know as an entrepreneur and business owner I am often coming back around this bend. Then I find myself tweaking my self- care routine as my outer responsibilities shift and change. And so I find I often have to set aside many of my big ideas for a later time. Conversely, some of us may hold our biggest, boldest most brilliant ideas in our unconscious just under the surface of our awareness. Although it may be harder to recognize our manifestation abilities when they are held at arm’s length at least it assures us that we are not deluged by our expectations of ourselves. And so regardless of how we perceive our manifestation abilities we are often given very few tools to recognize how our dreams really enter into the world. I believe one of the very best ways to ready a dream to grow wings in the world is to get super clear about the details and to revel in the joy of the building. Don’t get hung up on when or even if it will come to fruition. These details are less important and often worry us unnecessarily about outcome when we could be getting excited instead about the clarity of our vision. So I encourage you to honour divine timing while tending to the exciting details of your brilliant visions. So how can we tell which visions are ready to be birthed and which can gestate longer? How do we know which are the seeds that will help our soul’s blossom and ready us for the next steps on our journey? How can we prepare these dreams for the world and know that they too are ready to live in it? How do we help push our dreams through the soil of our imagination and into the world as a direct intention? And when do we know to stop pushing? How do we recognize and tend those projects, ideas and dreams that are not ready to be fully birthed yet? Well, when we set an intention we do this on a conscious level. It is an imaginative process that then gathers energy and builds momentum in the outer world. And if it doesn’t and we find ourselves pushing with little momentum building around us we can let it go and pursue another venue and then return at another time. Our dreams can remain dormant and still be enriched by the rich soil of our ideas. However, it is when the universe starts mirroring back to us little pieces of our dream in the world that we know it is playing with bringing it into being. This happened to me in a very magical way that seemed undeniably fated to come true. This month I’d love to share with you a story about what this divine guidance and timing looked and felt like for me… I have written about this magical journey before but not with a forward about manifestation. It is my desire that you can notice when in your own lives the universe has or had your back like this! Because it does, and when it does wonderful things are afoot! Things you couldn’t have imagined giving such strong roots or broad full wings to without the universes help. In these moments your job is simply to allow yourself to feel the wind and rise in the current. My story begins at the end of graduate school in 2008. After applying myself in my program and completing my final thesis requirement I wanted to regroup, get back in touch with my inner self, and celebrate a huge accomplishment before I figured out what my next move was. I had imagined taking a grand trip to Greece and basking in the Mediterranean breezes, swimming in the Adriatic and eating Salty feta and drinking Retsina in one Villa after another. I planned on using a portion of my school loans to finance the trip but when the time got closer to make the arrangements I realized that I'd miscalculated funding and wouldn't have enough to take this trip of my dreams. It is true I was disappointed but I quickly regrouped and planned instead to take a trip to Niches, a local sustainable campground in the area. I would put off my dream trip toward sometime in the future and I was okay with it. Around the same time I responded to an invitation from my family to join them for a much needed belated Birthday celebration weekend. I traveled to meet them at the end of October and enjoyed several days of relaxation in which one of the high points was when they shared their photos of a recent trip to Turkey with me. When I saw their photos I realized in one sweeping moment that it was really Turkey with its whirling dervishes, alien stalagmite landforms, petroglyph caves and writings of Rumi that truly called most closely to my soul. As soon as I saw the photo's I began to clear a space in my mind, heart and life for this sojourn I felt so sure I was somehow destined to take. I began to look into ways that I could make this trip real in my life. I decided to open a bank account for the trip. I would refer to it as the Turkey trip fund. If I had to withdraw monies for other things that was fine but I would at least bring it into being in a practical way and do what I could to make it a more real possibility in my life. That magical weekend of deep listening I also investigated travel options. I found out that if I booked a trip for a group of nine Globus travel agency would let me fly for free. My dream was already feeling so much closer and more grounded inside of me as well. I was doing all I could to answer that feeling by bringing it into being in the external world too. This process of entrainment meant that the spark of this dream already had life energy. The Free dictionary defines entrainment as 1. The ability to pull or drag along after itself. 2. To carry suspended particles along in a current. It was clear this possibility, this ambition already was being pulled along in something...A curiosity, a dream, a wish? Now what could make that more real...? That night my father took me to see Loreena Mckennitt, the brilliant singer of sacred Songs from wisdom traditions for my birthday. Loreena giddily shared her travel stories and then punctuated the spoken pieces by sharing songs written from many of her destinations. To my delight she shared stories from her journeys in Turkey. As I listened I let the music take me away to all these places I dreamed of seeing. After a time of listening it became clear to me that Loreena herself had taken the same tour that my parents had. It was unmistakable as all the locations she visited were presented in the same order as my parents photos on the computer. The universe clearly had a brilliant sense of humor as it mirrored back to me with such exquisite detail the lyrics and then stories of all the places I’d dreamed of visiting. At this point I could truly feel the energy tipping toward my dream and spreading itself out in the corners of my imagination. Now I had to admit it seemed more like a when not a whether I would embark on this magical journey. I got back to C-Bus so excited about where this energy could lead. I started telling everybody about what happened on my weekend and checking to see too if anyone I knew had been to Turkey. It turned out the next door neighbor had been on a trip to Istanbul and shared her pictures with me. And then it happened…someone in the women's group I attended asked me, "Would you like to go to Turkey this December?" I said I most certainly did but doubted it would be possible so soon. She suggested I get more information and that a trip was being sponsored by a local interfaith organization that was two travelers short this December. I agreed to speak to the host, still assuming it would be well beyond my means. And that is just how closely the universe listens...The trip was 10 days, easily in my budget (which really was equivalent to a long luxurious weekend in a cabin). We had one flight in Country. We stayed in four star hotels which had lobbies nicer than any accommodations I had ever stayed in up until now. We were the recipients of beautiful traditional Turkish meals made especially for our group. We were invited into people's homes and gifted with art and sacred stories about their families. We got to worship in Mosques bowing with humbleness to the wonder of the world, our personal God and the beauty of community. We were a traveling band of flute players, poets and yes, even someone who was on the board of Jung Haus back in C-bus. This trip was hand- picked by an intelligent magical universe just for me. I believe I seized upon it by being a willing participant to what the universe had so lovingly and clearly set into motion that weekend at my parent's house. As if that blissful universal gift weren't enough we had the happy accident of getting stranded in Amsterdam on our return flight. The Airline agreed to put us up and for three blissful days we got to see the beauty of Amsterdam spread out in crystalline wonder under a blanket of ice. When I asked the universe to provide the perfect trip for me I had single pointed focus and an enthusiasm that made my cheeks hurt from smiling. The universe was smiling too and I believe we just became so intimately aware of each other… Like a call and response we listened with patience and anticipation and so we told each piece to the other with brilliant clarity. I believe when we are ready to let our dreams take flight and ask them too clearly-- with unabashed vigor, joy and curiosity and we get excited as much about the possibility as the promise then such amazing things can come to pass. Do you have a dream like this? Is it a special dream just for you? Perhaps it is a dream you have held dormant just under the surface of awareness for a long time. Or perhaps it is one you have sought help with, been tending for awhile or even set an active intention about. Either way, let’s watch it rise together on buoyant wings! So April’s affirmation Gem is Citrine. If you are drawn to join us pick up a piece at your metaphysical shop or online. I believe doing this together can help us co-create the life of our dreams. We are more powerful creators when we hold the space and light of one another’s visions in community. 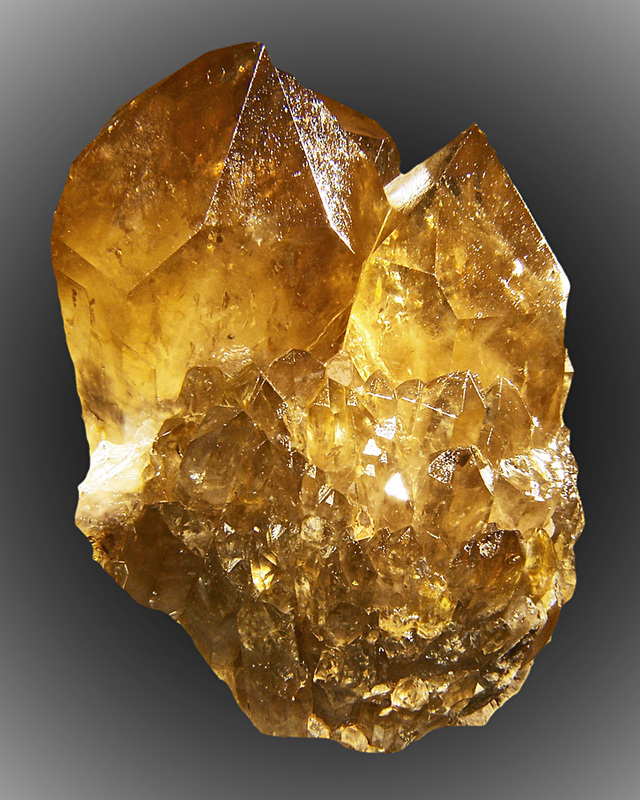 Citrine is a translucent golden stone of manifestation, imagination, and personal will. It carries within it the passionate power of the sun. It is warm and comforting, energizing and life giving. 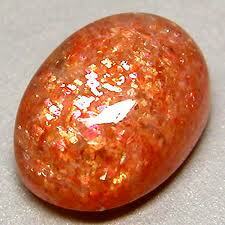 It stimulates the 3rd chakra like the sunlight of spring, clearing the mind and stirring the soul to action. Its frequency awakens creativity and imagination. 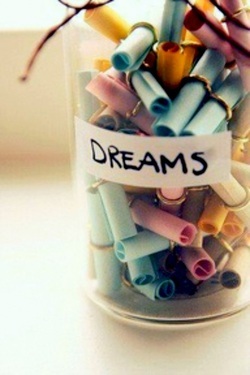 It sustains the process of transforming dreams and wishes into tangible form. With its pure yellow energy, Citrine encourages fullness of life, fresh beginnings and new pursuits. And April’s Affirmation Gem is: I feel the energy of my dream (s) growing and becoming more clear to me daily. I enjoy working and tending to all the aspects of this expression. I can see each piece easily and I enjoy my connection to it. I am witnessing a more active radiant divine expression of source energy opening before my eyes. Until next month may all your most closely held dreams of abundance and joy follow you home! Bio: Jenny’s work draws heavily from the depth psychology schools of C.G. Jung and Joseph Campbell. By utilizing and refining your unique intuition she hopes to help you achieve a more peaceful, and authentic response to life no matter where you find yourself on the human journey. Jenny brings her gifts of insight, vision, depth and a non-judgmental presence to the work. She looks forward to helping you help your inner Self shine! She may be reached at:imaselkie@juno.com or on her website: http://www.innervoiceintuitive.com to schedule intuitive tarot readings and counseling work. All of us have no doubt been feeling the overgrown energy of a harsh winter and are looking forward to warmer weather. We are anticipating time to be outdoors, enjoy nature and feel the innate nature in ourselves with more ease and fluidity instead of slogging through cold fronts and polar vortex’s. The energy it takes to go back into yet another storm can really make us brace against ourselves and feel that what looks like forward movement is more of an unending circle back to the beginning—another cold front. With the decreased light chilly moods can begin to replace more sunny hopeful and helpful responses. If you are feeling overwhelmed either by outer stressors or inner ones this month’s article is specifically meant for you! It will offer you ways to raise your spiritual vibration as well as suggest a practice of actively focusing on noticing positive experiences and opportunities in your life. This can be imperative especially when many of us are feeling some of the harsher realities that weather and the denser astrological aspects may be demanding of us. 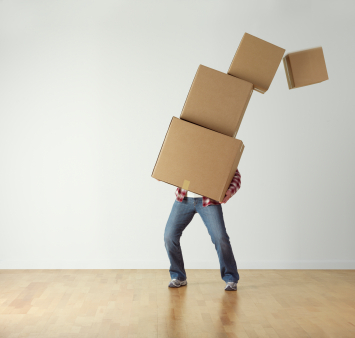 If any of you read last month’s Jenny’s Gems article you know that it was about choosing not to pick up or take on things that were too heavy to easily sort out. I often tell my clients the same, not to over burden themselves with decisions that need to be felt through instead of thought out. Because we live in a culture that expects us to always know what to do at every moment, when we’re not sure we can put great amounts of pressure on ourselves and feel undue and unnecessary guilt and shame when we are processing choices. If we can learn instead to “sit down” or temporarily “set aside” the big stuff in our lives, usually the heart-felt soul spoken answers of our inner voice becomes self-evident. When we are going through life-changes and have already committed to slowly processing the big stuff in our lives it can help to raise the overall energy around our day to day activities as well. I had to do this in January. I hit a wall where it felt like some of the everyday stuff was outweighing my sense of well-being and daily joyfulness. I made an agreement with myself that no matter what I was dealing with in my everyday life I was determined to only focus or hold onto the positive for 21 days. At the time I have to admit this felt somewhat reckless. However even though my head was thinking overtime, I could still feel a flickering of light warming toward the potential to shift my energy to a place of new awareness, growth and rebirth. This seemingly small but very powerful shift is enough to jumpstart us out of our routine and can be accompanied by a lightening in our overall feeling about ourselves’. If we can replace this idea and use it as a mantra; that is, say it daily when we feel overwhelmed or stuck it can help us to replace some of the more rigid ideas about who we are and what our life holds for us. The trick is to remember to do it. This takes practice so if you are remembering be gentle on yourself…know that changing a behaviour takes time and that with patience and love this little side shift can become a daily practice. Another idea that has really helped me to purposefully bring in positive vibrations is something that was going around many social media sites for the past several months. This is to create a manifestation jar. The basic suggestion is to write on little slips of paper all the good things that come into your life. Put them in the jar and on New Year’s take them out and read them and start fresh for the next year. I tweaked this idea so it would be more meaningful as a pro-active daily practice. I use this variation with many of my clients to help them escape limiting beliefs about themselves and their lives. I use it myself as well. The brilliant documentary “Happiness” has shown that those who do not rely on outside sources of happiness but instead are able to go to a feel good place internally are across the board the happiest throughout the course of their lives. This is because what they rely on for happiness is internal. That is it cannot be given or taken away from them. If this idea seems foreign to you I really suggest you watch this amazing movie and explore the idea with yourself further. So with that said, instead of focusing on just monetary manifesting, which I call the “bigger, better, faster, more variety; consider focusing instead on good feelings and noticing good happenings in your life. It is okay to have some of these be things, but I definitely encourage you to stretch your definition of this and extend your vision and awareness to expressions of joy that are less tangible.. So when you get your jar what should it be like? Well, a jar that is beautiful and meaningful is going to capture your attention and interest more than the jar you ate your pickles out of last week. Imagine your jar…what colour is the glass? What shape is the Jar? How big is the jar? Where is the most meaningful place in your house to put the jar? Where will it easily becomes a practice—a go too every day? I found our jar at the thrift store. I purchased it because it was oversized only to realize later that it had holes poked in the top of the metal lid. It was undoubtedly a child’s bug jar. My jar clearly held perhaps the first door open to a new world of observation and discovery for a child. I like to imagine that it was a lightening bug jar. In this rendition of the story the jar also held the magic of everything a lightening bug evokes for a child. First the adventure and forbidden joy of staying up late, and of course being able to go out and lose yourself in catching dizzying swirls of light. Then placing the jar by the bedside in your room and seeing the light flicker on and off as you close one eye and then the other with the knowledge that the light will follow you into the dreamtime tracking you there with the safety of its beacon. All of these details add to my experience of the jar and the wishes I see made manifest there. What is the story of your jar? Next, what do you put in this manifestation jar? First, I encourage you to imagine what it will hold. See yourself putting all these little slips of brightly coloured paper in your jar with the wishes that have already come true. So what amazing things have shown up in your world? What are you grateful for? Perhaps it is the peaceful morning breeze where everything feels magical for a moment. And right then an ark of birds crosses the sky at just the same moment you are feeling that indescribable opening and greater awareness of oneness and deep connection with everything. Perhaps feeling that deep gratitude will invite you to surrender to that precious moment a little further? Or perhaps it is the realization that your mother has agreed to take the kids each Tuesday evening so you can go to a yoga class uninterrupted and so you are feeling deep gratitude for the gift of that time. And perhaps too you are grateful for the ability to buy a new laptop…Here though try to make it about the feelings that accompany the purchase. Does this purchase help you feel more committed to projects you have undertaken? Does it help you feel more adult by being able to provide for yourself? It is fine to make some of these slips of paper about the stuff you buy, but I encourage you as much as you can to stay and play in the place of non-tangibles while filling your jar. Now I have shared with you the active way to use your jar…You can continue to fill it with all these magical moments whenever they happen for you. Ours sits on the rail at the bottom of the landing so it is the first thing that catches my eye as I head downstairs in the morning. It is beautiful-- filled with a bevy of green, red, blue, purple, yellow and orange papers. It evokes my curiosity and stirs an innate desire for beauty and colour and magic in my life. However the jar doesn’t just have this primary purpose. It has a secondary grounding purpose as well. On those days where you are really feeling overwhelmed, or you are too stuck in your back story- notice your jar and all the amazing fulfilled wishes piling up in it. On those days where you are still playing those old tapes with more veracity and energy then they deserve look over and remember all those amazing moments represented by each tiny square of folded coloured paper. Those moments are as real as the energy which is taking your power and pulling you away from your center in this moment. Choose instead to move into the shift energy the “What if something else we’re true” place we talked about at the beginning of the article. This choosing is like a muscle, it will become stronger if you flex it more often. Breathe deeply during this process and you should start to feel that weighted energy abate. Allow yourself to move into this powerful possible moment. Well especially on those days dear friend I invite you to slow down. Set down the expectations you have of yourself and pull your powerful wonderful already manifested wishes one by one out of your magic jar. Now read each one back to yourself slowly. Allow yourself to move beyond the head knowledge that it has manifested to the heart place that hold the deeper feeling of fulfillment inside. There now. That’s it. Allow this feeling to rise to the surface again in the present moment. Invite yourself to relive it. See it in the present, re-member it with all your senses.I encourage you to close your eyes while you do this with each wish in your jar. Now check in. Don’t you feel more centered, more at peace, more present, more magical then before? Finally set down the last vestiges of your previous hour’s story, it does you no good. You have a brilliant brand new moment to set into motion. Fly! So March’s affirmation Gem is celestite. I invite you to pick up a piece of this heavenly stone to add to your collection of inner tools. This will help you raise your vibration in preparation to participate in this 21 day shift with the manifestation jar. 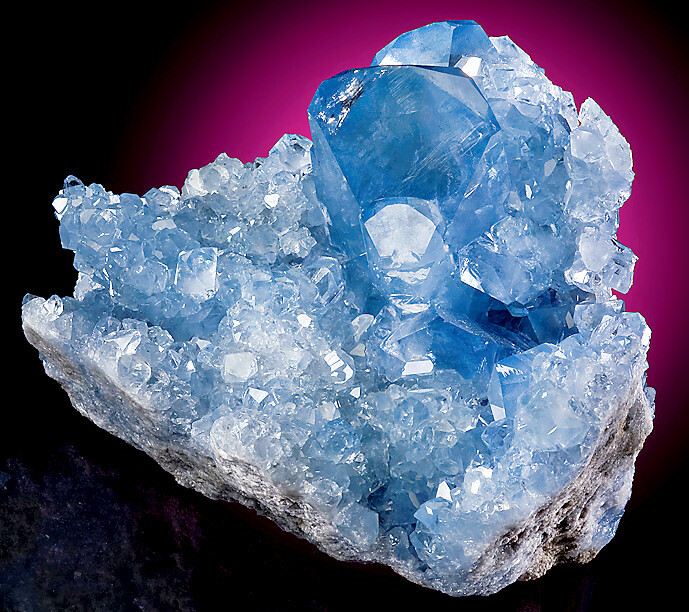 In healing celestite contains some unique properties that will aid you on your journey. 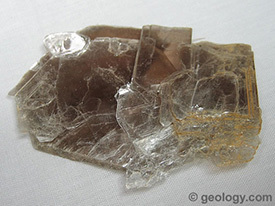 Celestite can help you to replace pain with loving angelic light. 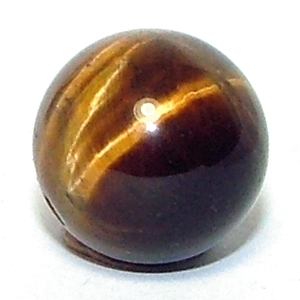 It attracts luck, reveals truth, brings balance, and within this stone one can discover the softening energy of peace. And March’s affirmation Gem is: I have abundant support from my guides and the heaven’s to notice the shift presently occurring within me. This shift will help me to deeply notice and savor all that is good and possible as I grow toward and easily embrace the powerful light and truth of my brightest life. I encourage you to employ these practices and tools for 21 days diligently. I am certain you will be thoroughly delighted and deeply renewed by the shifts you experience as well as what you are able to manifest. Please feel free to share aspects and highlights of your experience in the comments following this article. I can’t wait to read what you bring into clearer focus and through your gratitude, clarity and appreciation of beauty what you invite into the new and brightest places of your being…. Bio: Jenny’s work draws heavily from the depth psychology schools of C.G. Jung and Joseph Campbell. By utilizing and refining your unique intuition she hopes to help you achieve a more peaceful, and authentic response to life no matter where you find yourself on the human journey. Jenny brings her gifts of insight, vision, depth and a non-judgmental presence to our work. She looks forward to helping you help your inner Self shine! She may be reached at :imaselkie@juno.com or at her website: http://www.innervoiceintuitive.com to schedule intuitive tarot readings and counseling work. different tools I have discovered for spiritual connection. this goal in mind, each monthly column will also offer a helpful affirmation. we are born to do on a quantum level. this way we are curious, inspired and fueled throughout our experiences. deeply to your own spirit for guidance. helps put us in direct alignment with the divine. When I use the word divine I don’t mean other-worldly, but very much in and of this world. routine in our lives to create security. There is a wonderful book by Eugene Gendlin called Focusing. Gendlin identifies a process that can happen within us called a felt-sense. typically occupy our mind and allowing our core truth to rise from within us. consciousness. 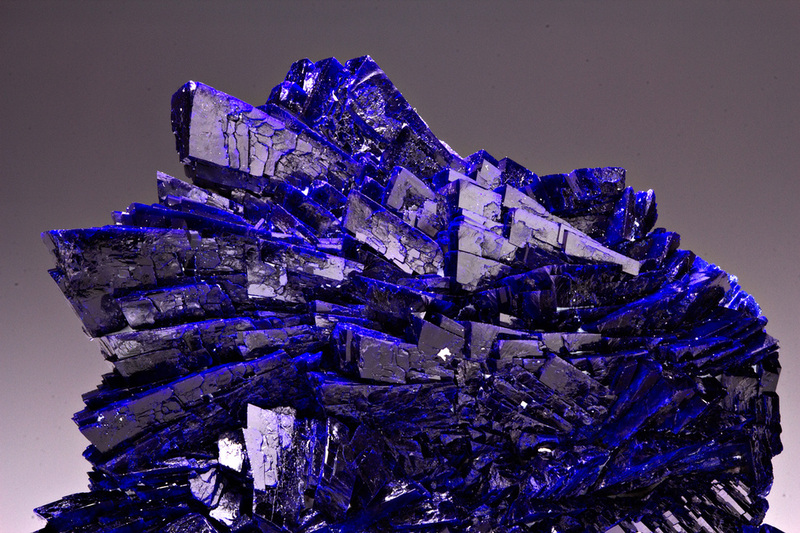 Azurite also brings new perspectives and expands the mind. setting to each of you! See you next month!